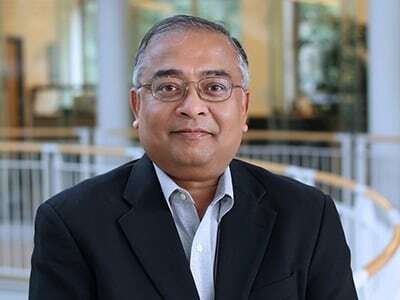 Nagesh N. Murthy is the Roger Engemann Professor in the Department of Operations and Business Analytics at the Lundquist College of Business. His prior work experience includes faculty positions at Michigan State University and Georgia Institute of Technology. He has also held management positions with Indian Railways and Sundaram Clayton, India Ltd. He has worked with leading administrators and faculty in Engineering Schools in Oregon and Southwest Washington, major manufacturing firms in the Pacific Northwest, industry consortia, and Governmental and non-profit agencies to foster University-Industry-Government partnerships for enhancing innovation, sustainability, and competitiveness for the manufacturing sector in the region. He spearheaded a benchmarking study and proposed a blueprint for the establishment of the Northwest Collaboratory for Sustainable Manufacturing (NWCSM). An overarching recommendation of the study to adopt the AMRC model championed by Boeing in Sheffield, UK, was adopted, that subsequently evolved into the big idea for the establishment of the Oregon Manufacturing Innovation Center (OMIC). He is also the co-founding faculty for the Center for Sustainable Business Practices in the Lundquist College of Business. His passion is to engage with the industry for experiential education, research, placement, and alumni outreach. His empirical and normative research has been supported by major grants from firms, industry consortia, and government agencies. His field-based research projects have been endorsed by several industry associations such as SAE, SME, EIA, and APICS/ER, among others. In addition to publishing in premier refereed journals, he has consulted with several Fortune 100 firms and taught in both general and custom executive education programs. He has also engaged with numerous major firms to offer experiential learning opportunities for students and facilitate summer internships and jobs by incorporating plant tours, guest speakers, and real-world problem-solving projects in his operations and supply chain management courses. Since his arrival at the Lundquist College of Business in 2003, he has engaged with senior executives and organized over 175 company sponsored projects in the areas of facility operations, supply chain management, and sustainability in operations and supply chain management using a pool of firms that include Intel, Hewlett-Packard, Tektronix, JELD-WEN, Keen, States Industries, Weyerhaeuser, Monaco Coach, Nike, Navistar, Columbia Distributing, Myers Container, Lyle, Parr Lumber, Xerox, PCC Structurals, Shindaiwa, Kettle Foods, International Paper, Spraying Systems Company, YAKIMA, NW Natural, Silver Eagle Manufacturing, gDiapers, Alsco, Rosen Aviation, Benchmade, Sunmodo, KersTech, NextStep Recycling, Organically Grown Company, Growing Solutions, Invitrogen, and PSC (now Datalogic) among others. Twelve Lundquist College faculty and staff members were the recipients of awards for their hard work over the 2016-2017 academic year. The Lundquist College's Nagesh Murthy is the recipient of the 2016 Sushil K. Gupta POMS Distinguished Service Award. With a record-sized first-year class, a reinvigorated alumni association, and a new building in the works, the Oregon Executive MBA program is stronger than ever. He's built and fostered strong ties with industry--on the local, regional, national, and international levels. Greg Quesnel got his degree from the UO Lundquist College of Business with his sights on becoming a stock broker. He ended up as CEO of Fortune 500 company CNF, Inc.